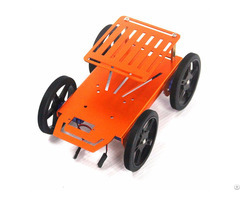 • Mini Robot Mobile Platform uses 2 DC motor gear box to drive. The spec the same as FS90R - - High speed up to 100RPM, 1.3kg.cm at 800mA. 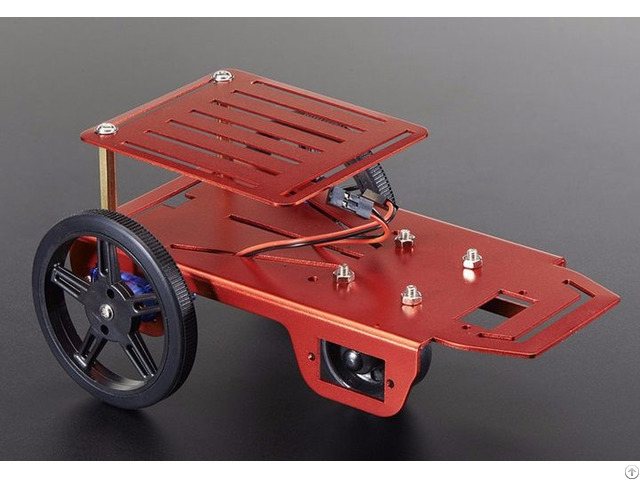 • Two plastic wheels are press-fit onto DC motor gear box output gear shaft, and easy to make a nice drive solution for small robots. The wheels have silicone tires and measure 60mm (2.36″) in diameter. • Can upgrade to 4WD version. 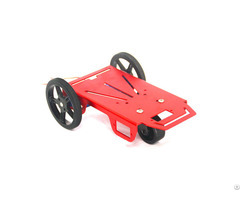 • This Mini Robot Mobile Platform frame make with 5051 aluminum alloy and anodize color (The factory default is red. Can do other color if need. ).